Welcome to our new website! We’ve finally made it into the 21st century and are super excited about our updated look. Also, we are really hyped about this blog feature! There are always fun things we want to talk about, but sometimes we’re too wordy for Facebook and 120 characters on Twitter is definitely not enough. So now we can share a lot more content with you guys thanks to our blog. Our goal is to have fun and help shed some light on the mysterious world of picture framing. Also, this is a good way for us to chronicle the wild and wacky projects we work on, as well as showcasing the creative frame jobs our designers come up with. Moving forward we hope to have official blog updates at least once a month, with little mini-blogs thrown in with more frequency. These mini-blogs will focus more on local events and interesting things that might not be picture frame related, but we think you’ll enjoy. We also appreciate questions, so if there is something about framing you would like to hear more on, feel free to ask! Also, take some time to check out the rest of our website if you haven’t already. Thanks for reading and stay tuned for more blog posts! Amazing plenty of terrific facts! 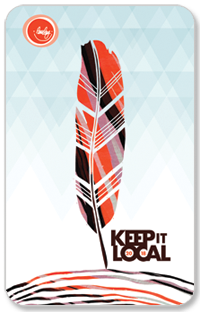 Save 10% at Pirates Alley with your Keep it Local Card!